Oral health is essential to overall health. Mint Tooth Tonic keeps your mouth in a state of wellness. It protects and nourishes with essential oils containing no toxic chemicals or harsh abrasives. It also tastes fresh and the minty flavour lasts for hours (no bad breath!). It is not animal tested but human tested! It can make teeth stronger, no more cavities and no more gingivitis. Simply apply 2 drops of Mint Tooth Tonic onto your toothbrush and brush your teeth as usual. Rinsing is optional. It is recommended that you floss first, rinsing your mouth well, then add the 2 drops to your brush. 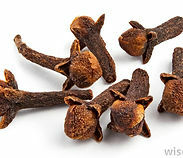 Clove: Anti-infectious, analgesic and anti-inflammatory properties. Its anti-infectious properties include: antiviral, antibacterial and anti-fungal. Cinnamon: Antibacterial, antifungal, antimicrobial, astringent and anticlotting. Cinnamon is rich in essential minerals such as manganese, iron and calcium. Grapefruit: Rich in anti-oxidants, primarily in Vitamin-C. This oil boosts the immune system and fights free radicals. It is effective in protecting the body from all harms done by oxidants, such as degeneration of tissues. The antiviral and antimicrobial properties of grapefruit essential oil make it a good disinfectant. It not only protects the body from new infections, but also eliminates infections that may already be present. 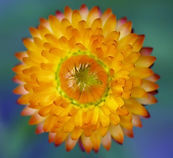 Immortelle: Also known as Helichrysum Italicum), The Helichrysum Italicum Tooth Tonic uses is a wildcrafted therapeutic essential oil produced in Corsica and is considered the very finest oil of it’s kind on the planet. It is one of the most effective of all essential oils for reducing scar tissue whether from a recent wound, operation, or tissue that has been scarred for years. It stops bleeding, promotes scab formation and tissue repair. The anti-inflammatory and tissue regenerating properties of Immortelle makes it a perfect oil to treat receding gums. 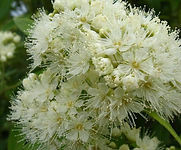 Lemon Myrtle: An Australian native it has strong antibacterial and anti fungal properties. Mentha Piperata: (Peppermint) Analgesic, anaesthetic, antiseptic, antiphlogistic, antispasmodic, breath freshener. 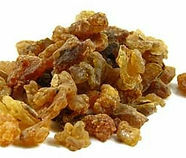 Myrrh: Anti-fungal, antiseptic and astringent actions makes it a specific in the treatment of infections in the mouth such as mouth ulcers gingivitis and phyorrhoea. Natural Vitamin E Oil: (D-ALPHA TOCOPHEROL) A natural preservative that provides many health benefits due to its anti-oxidant properties. Anti-oxidants remove free radicals – the unstable compounds that damage cell structure. They improve immunity levels, reducing cholesterol and the risk of cancer. 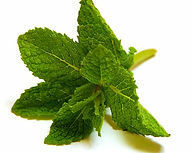 Spearmint: Antiseptic, cephalic,antispasmodic, insecticide,restorative and stimulant. 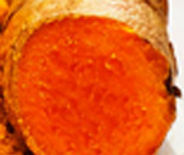 Turmeric: Studies of turmeric have revealed antimicrobial properties. Due to its astringent, anti-biotic and anti-inflammatory properties it tones the gums and destroys bacteria whose acidic wastes cause cavities. Mint Tooth Tonic will leave your mouth with a very fresh mint flavour. To use as a mouth wash, simply place a drop in a small glass or water, swish in your mouth for a minute, then spit.